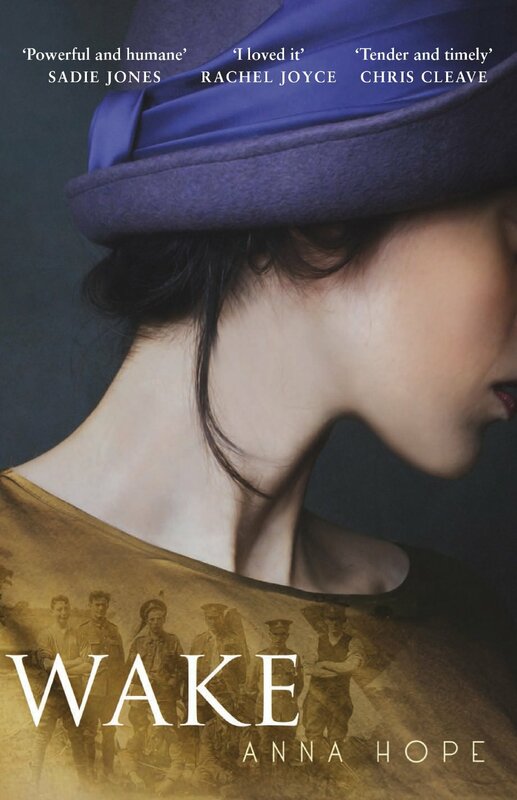 Wake is Anna Hope’s debut novel and follows the lives of three different woman after the First World War. Their fictional stories are told alongside the true story of the bringing home of The Unknown Soldier to Westminster Abbey on the 11th of November 1920. Ada hasn’t been the same since her son failed to return from the War, living in a daze where she repeatedly sees him in crowds, only to be proved wrong when she chases the man down. She received a letter to tell her and her husband that he was dead but only one and she knew so many grieving families that received two or three letters detailing the deaths of their loved ones. Something must be wrong for her to be the exception. Evelyn lost the love of her life to the War and since then all she’s done is unwittingly tried to harm herself. She opted to work in the munitions factory, then as a TNT shell maker, otherwise known as the ‘canary girls’ due to the yellowing of their skin from the toxic work. After becoming too ill to work and suffering a miscarriage she then went to work in pensions. Every day see she’s scores of broken ex-military men and helps them with their queries but one day a request for help from one certain soldier takes her by surprise. What does the injured man want with her brother? Hettie’s a young girl full of dreams about falling in love. She works as a dancer in the Hammersmith Pallais, spending her time in a cage until a customer buys her out for a dance. The world is changing quickly and all she wants to do is keep up. She wants to dance at the new clubs, revels in the new music and even builds up the confidence to bob her hair. Wake is a hugely enjoyable novel that showcases some beautifully crafted characters. Anna Hope take an interesting angle in covering three generations of women and how the War affects their lives. Towards the end of the story, Evelyn and Ada’s stories cross paths which is superbly done but does leave you feeling Hettie was a slightly spare part. Hettie’s experiences do come from a very different perspective as she looks for love and finds young men who are ravaged my their experiences. Evelyn and Ada are both suffering from losses some never recover from and Anna Hope deals with their pain with great tenderness. Alongside these three tales is the true story of The Unknown Soldier, a unidentified British soldier who was brought home from the battlefields and represented all the lives lost and bodies never found. It was this true story that stood out and makes the fiction so incredibly evocative. The climactic finish where all there woman find themselves in Britain’s capital to pay tribute to The Unknown Soldier and all the people who never returned is utterly captivating and emotionally heartbreaking but almost to the detriment of the rest of the novel. As a reader, I was left wishing that Hettie’s story had tied in with the other two and wondering if she was quite as necessary. Even with those slight ponderings, Wake is a powerful novel that tugs at the heart strings but with a grace and sensitivity that makes it all the more endearing. It is a hugely enjoyable and although set in sad times manages to leave the reader feeling uplifted.